The goal should always be to get the most value out of your miles and points, in things that matter to you. Alison is a reader and has a question on whether or not she should use her Avion points for this upcoming trip or not. Do I use avion points or not? My parents need a one way flight YYZ to PVR on Jan 2. Ryan needs to fly down sometime the week of Jan 13. Kids, Ryan and I fly home together Jan 23 (must be direct). I have 184,000 points to use. Thanks for the question, Alison. I would love to help out. I have written an article on the RBC Avion Rewards program that is similar here. In this article I am going to talk more about how to do the analysis of when to redeem RBC Avion points as opposed to isolated for Alison’s specific situation. The answer to your question is always, it depends. If you are looking for a quick answer, my answer would be to pay cash for this flight and save your RBC Avion points for a better value. This is how I would act, but there is justification for using RBC points for this flight as well. If you don’t have a better use of your RBC Avion points for better value, or you are points-rich and cash-poor then use your RBC Avion points for the flight using the flight schedule. 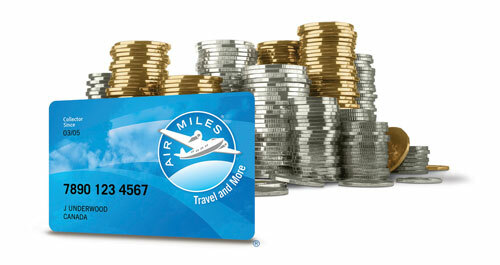 Avion points are valuable for their transferability to airline miles programs such as American and British Airways. My thoughts are that pretty much any other uses are not really worth chasing. (ie I wouldnt earn more Avion points if I were intending on using them for anything other than AA or BA transfers). I’ll give you a quick reasoning. An MBNA World Elite card, or BMO World Elite card would net you 2% cash back (or pretty much close to cashback) on every purchase. RBC Avion nets you 1 Avion point / $ spent on every purchase. That means that when you made the purchase, you sacrificed 2 cents (what you could have got had you swiped a MBNA World Elite) for that 1 Avion point. When you go to redeem that Avion point, you have to make sure you are able to get better than that 2 cents value back. In my opinion, the only uses of RBC Avion points that can net you better than 2 cents / Avion mile will be by transfering to AA or BA miles and redeeming for flights. This would be the thinking I would do when I sign up for a card. 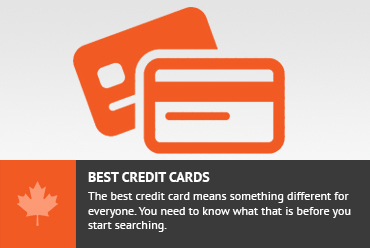 Check out the Top List for links to these cards. Retrospectively, we now have to look at this and think “I have all these miles, but I dont know if this is the best time to use them”. From that perspective, we have to look and see if those miles are going to be used better now or in the future. The best use of Avion miles, as stated would be to transfer them to AA or BA miles. AA miles are best for flights overseas, especially on their off peak calendar. Flights to Northern South America are 15k / way for 9 months of the year. Flights to Europe are 20K / way for 8 months of the year etc. These award flights are subject to availability as well. If you have the intention on traveling overseas and when you do that, you have the flexibilty to take the flights that AA has made available, then transfering to AA would be a good use of them. I think you can get about 2 cents of value from them against the cash fare for a similar flight if you use them correctly. You should discount that valuation due to the inconvenience of not getting your ideal flight or routing and / or not having space when you need it. BA Avios are great (and I mean really great) for use on short flights within North America on American Airlines operated planes. (you buy the ticket from BA Avios but it is an American Airlines operated plane). The flights that are best for Torontonians are: New York, Chicago, Phila, Washington, Charlotte, Dallas is an ok usage. Miami, Los Angeles and Phoenix are good uses too. So that being said, if you are goign to have a use of BA miles or AA miles as outlined above, then that is likely the best way to get a high return for your Avion points. If you are going to be using the schedule you will want to make sure that you are getting good value. The flight schedule is in bands so a flight to mexico will run you 55K avion points + taxes and that flight can cost up to $1100. Assuming you can find a flight that $1100 or more before taxes, that is a good use of miles. Obviously the more actual dollars you are offsetting, the better. In your case, you will be offsetting a $800 less taxes for your 55k Avion points. Likely the taxes would be over $100, so your 55K would be buying $600 into your pocket. That is not a great use of your miles as you are likely to find more expensive flights in the future that you are going to need to buy. Now, lets assume that you do not have a good use of Avion points in mind, you are essentially stuck with a type of points that is not ideal for you but we can still get some value out of it. This is much better than Aeroplan miles where you really cant get value out of it. I use the word salvage because we are not optimizing but we can still get good uses. In a worst case you can always get some value using the schedule. The question will have to be whether you have flights coming up that will give you the opportunity to. In a salvage case, you can transfer your Avion points to Westjet and you will get a return of 1 cent / Avion point. I think this is a poor usage. So after you have considered what it cost you to earn those points and whether you have a good way of using up any points you have earned, you have to see where this particular option fits it. First, I suggest we look at using these RBC Avion points as AA miles or British Airways Avios. The key thing here is that for this particular trip, this is not going to work for you. The partners of both American Airlines and / or British Airways don’t do any direct flights between Toronto and Mexico. Even looking at 1-stop itineraries as an option, there is no space due to the peak Christmas season. Secondly, let’s look at the flight schedule. As I have mentioned, this would cost you 55K RBC Avion points for the flight and that would offset only ~$600. That is quite a poor return, so I wouldn’t suggest you sell your RBC Avion Rewards so cheap. If you are flush with points but a little tighter on cash, or your travel plans in the future are not going to be able to leverage much more value out of RBC Rewards, tehn I suggest you use up the RBC points before they lose more value. Going forward, it would appear that the RBC Avion card is not ideal for you, if this trip is a typical one. From the original email, there is a sense that there is limited flexibility, which means the frequent flyer miles are going to be tough to use. I suggest going with a more fixed value card. I would suggest a MBNA World Elite or BMO World Elite card which would give 2% back as either cash (MBNA World Elite) or towards travel (BMO World Elite). Alternatively, if you spend a lot on groceries, gas and / or restaurants, then the Scotiabank American Express Gold or Scotiabank Momentum Visa are good options for you as they give a return of 4% to gas and grocery (Momentum and Gold) and 4% to restaurants (Gold). Don't subscribe All Replies to my comments Notify me of followup comments via e-mail. You can also <a href='https://www.creditwalk.ca/comment-subscriptions/?srp=4379&srk=2648578ecea05c83754707575dc5a494&sra=s&srsrc=f'>subscribe</a> without commenting.